»Uncategorized»Devils Run parade takes on a new angle! Devils Run parade takes on a new angle! 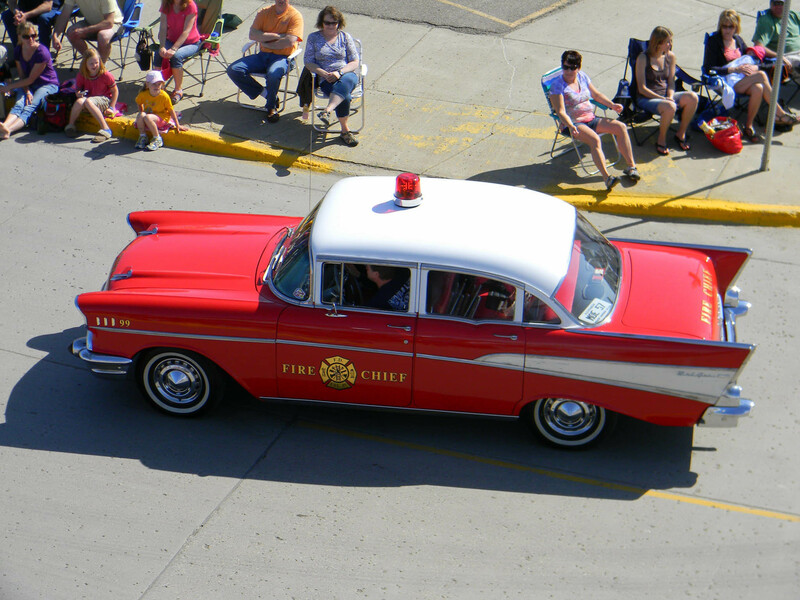 The Devils Run parade (held June 2 in downtown Devils Lake) took on a new “angle”. The parade, always a good time, was even more fun… well, at least for me! 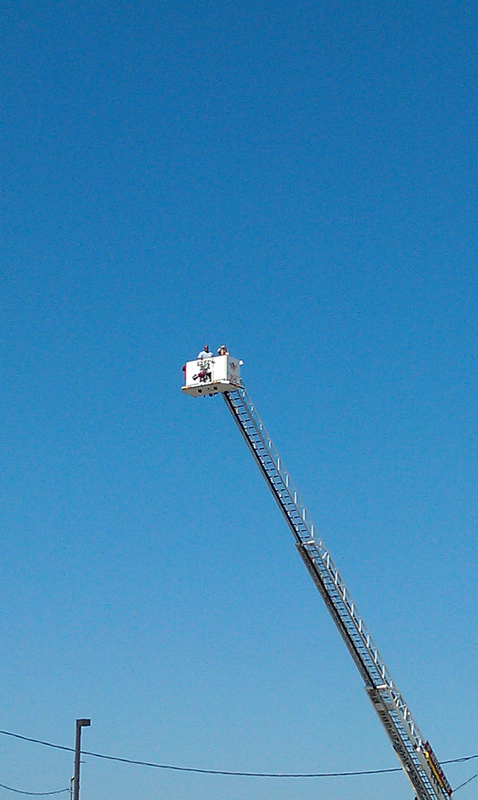 Thanks to the Devils Lake Fire Department I was hoisted 100 feet in the air to photograph the cars in the parade. The parade is a way for people to showcase their cars – young and old – in a fashion where they can throw candle, rev their engines and shine in the sunlight.